We are delighted to welcome mystery author Rebecca Yount to Omnimystery News today. Rebecca's third mystery to feature DI Michael "Mick" Chandra is The Ravenhoe Cauldron (Independent Publisher; June 2013 ebook formats). 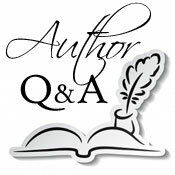 We recently had a chance to catch up with the author and talk about her series. Omnimystery News: Introduce us to Mick Chandra and the supporting cast in your series. Rebecca Yount: My protagonist, Detective Inspector Michael "Mick" Chandra works with New Scotland Yard's CID unit, and has one of the highest clearance rates at the Yard. He is half Kerala Indian and half Welsh and starts out in the first book, A Death in C Minor, as a bit of a rake and ladies' man. Then he meets an irresistible force in the person of Jessica Beaumont, an American expatriate concert pianist who, after a string of personal tragedies, is re-establishing herself and her career in England. Mick reforms, giving up his life of picking up "pub doxies" on Friday nights, and devoting his personal energies into building a meaningful relationship with Jess. The series is supported by an on-going quartet of characters: Mick, Jess, Sergeant Elizabeth Chang (Mick's no-nonsense Hong Kong-born partner), and Jamie Geller (a respected autographer of first editions who is Mick's best friend and occasional undercover agent). OMN: If you had to pick just one mystery category in which to place the books of the series, what would it be? OMN: What kind of research do you do for your books? RY: I have done extensive research at New Scotland Yard itself, interviewing constables, detectives, and Special Branch personnel. I conduct research at the British Library, the University of London, and Waterstone's bookstore-U. of London branch. I even stop Bobbies on the street and ask questions. I am dogged but very polite. A sense of humor helps, as the Brits really respond to it. Since I spend extensive time in England every year, we have established a network of friends there who have been extremely helpful to me. For example, what do the Brits call a Med Vac Unit? An Air Ambulance. OMN: Have you taken any liberties with the English settings of your books, or is it pretty much accurate? RY: Scrupulously accurate. Since 1990 my husband and I have spent 3-5 weeks every year in England on free home exchanges. Also, we spend one week every spring in London. Since we've virtually lived all around the country and have vast experience in London itself, I have a wealth of fascinating settings I can use in my books. I am accurate right down to where the public footpaths are located, the names of local pubs, and the history of each location. There is no need to take liberties. I could not invent locations as rich, interesting, intriguing, and beautiful as the real English ones. OMN: What are some of your outside interests? Do any of these find their way into your books? RY: I was trained as a concert pianist from age eight, so classical music finds its way into my books via Jessica Beaumont, my expatriate American concert pianist and Mick's great love. RY: In A Death in C Minor, the first book in the series, I created a character named "The Colonel." He is an 80-something hero of World War II who befriends Jess early in the story after she flees to England from America. Later in the narrative, he dies. Many of my readers are very upset that I bumped off the Colonel and want me to bring him back somehow (resurrection?). I love that! Presently I still have a modest, but fiercely loyal, readership. I welcome their feedback. It is intelligent, perceptive, and enlightening. RY: I am currently writing the eighth book in the Mick Chandra series, The Mouldwarp Prophecy, set in a magical village in the Thames Valley where we stayed last September. published poet, and worked in education reform, but she always nurtured a passion for storytelling. Coming from a family of writers, it wasn't hard for her to put pen to paper, but it took an actual unsolved murder to give her the idea for her first novel. For more information about the author and her work, please visit her website at RebeccaYount.com or find her on Facebook. The garotted corpse of a notorious antiquities thief and forger is discovered in an excavation pit at an archeological site near Colchester, on England's east coast. Despite being on parental leave to care for his four-month-old daughter, Detective Inspector Michael "Mick" Chandra is put in charge of the case, his family leave suspended by New Scotland Yard's commissioner. The victim is identified as Stanislaw Janus, a former curator of pre-Roman British artifacts at the British Museum, who turned to crime by fencing his forgeries on the international antiquities black market. Prior to the murder, Janus had engineered the theft of the priceless Ravenhoe Cauldron from the Colchester Museum,. The nearly 2,000-year-old solid gold vessel had been unearthed by archeologists in the very pit where Janus' corpse was later dumped. Mick must find Janus' murderer as well as locate the missing cauldron, but his task will not be easy. Interpol reveals that Janus assumed multiple identities and remained out of reach of law enforcement agencies. Nathaniel Wyatt, his former colleague at the British Museum, descricribes Janus as the "Steppenwolf" — charming one minute, vicious the next. Mick calls upon the Yard's Arts and Antiquities Unit for help in this complex case. As it turns out, he will need all the help he can get, as the case becomes increasingly fraught with danger and risk.